Drink your way through one of the oldest neighborhoods in the United States. This tour group discovers the rich culture and vibe of New Orleans’ most decadent district while learning about the neighborhood’s dark history from a knowledgeable insider. This tour covers the dark side of New Orleans history. 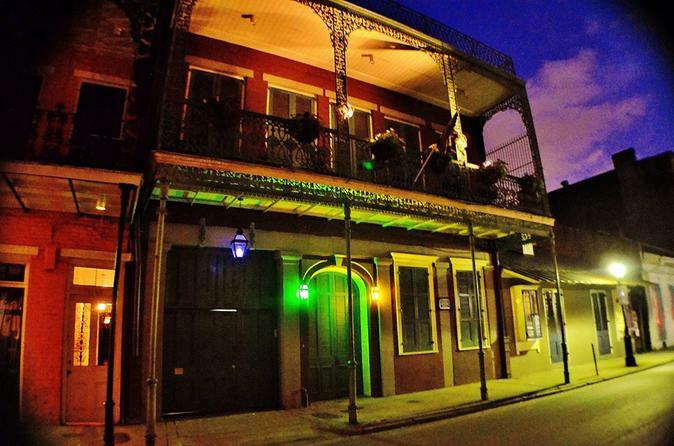 Also hear the legends of ghosts, vampires, and voodoo that is said to run thick in the French Quarter. This tour covers it all. A blast for boozers, history buffs, and anyone interested in the paranormal. Welcome to the home of the Drunken Tour.... Where learning is intoxicating. No entry is gained inside locations.